We're looking for people with lived experience of mental health challenges to volunteer to develop a heritage project documenting the history of mental health services in Sussex. Year of Drawing, our biggest arts project yet, has got off to a flying start with public drawing events all over Sussex! 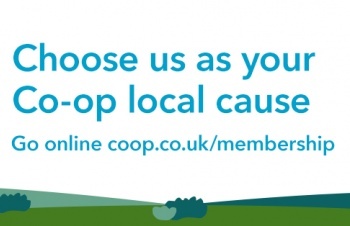 Caburn Ward's garden at Mill View Hospital, Hove, has been chosen as one of the Co-op's Membership Causes for the next year, supporting our staff and patient leaders to create a therapy garden for women in hospital. 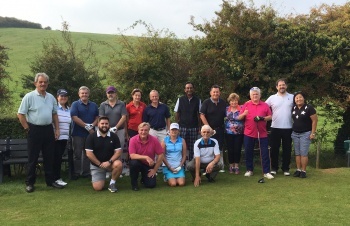 In the baking heat of an Indian summers day in September, sixteen Sussex Partnership staff and friends played a charity round of golf at West Hove Golf Club in aid of Heads On! 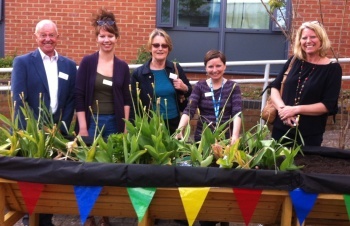 Heads On and Friends of Brighton & Hove were invited to go along to Meridian Ward at Millview Hospital, Hove to hear how funding from the two charities is providing new opportunities for service users. After a tour of the Ward, guests were all rewarded with a cream tea in the beautiful garden. 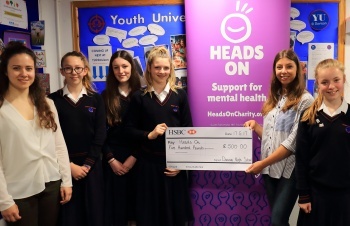 Girls from Davison CE High School in Worthing recently presented a cheque to CAMHS (Children & Adolescent Mental Health Service) based in Worthing hospital. 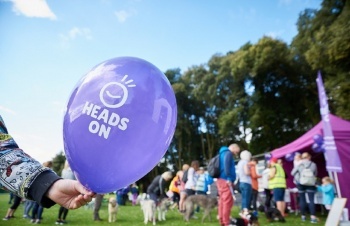 Said Nimmie Bunyard, Community Manager at the school; "We are really please to have worked with the charity 'Heads On' to help promote awareness and understanding of mental health issues. We are delighted to have raised funds for CAMHS!" 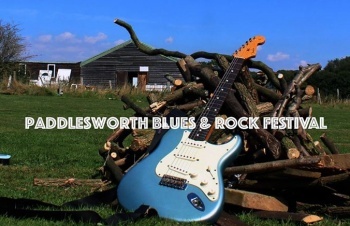 A fabulous £283 was raised for Kent CAMHS at the recent Paddlesworth Blues and Rock Festival in Folkestone, Kent. There was fabulous line up of bands throughout the weekend and despite the rain on the Friday, a good time was had by all!